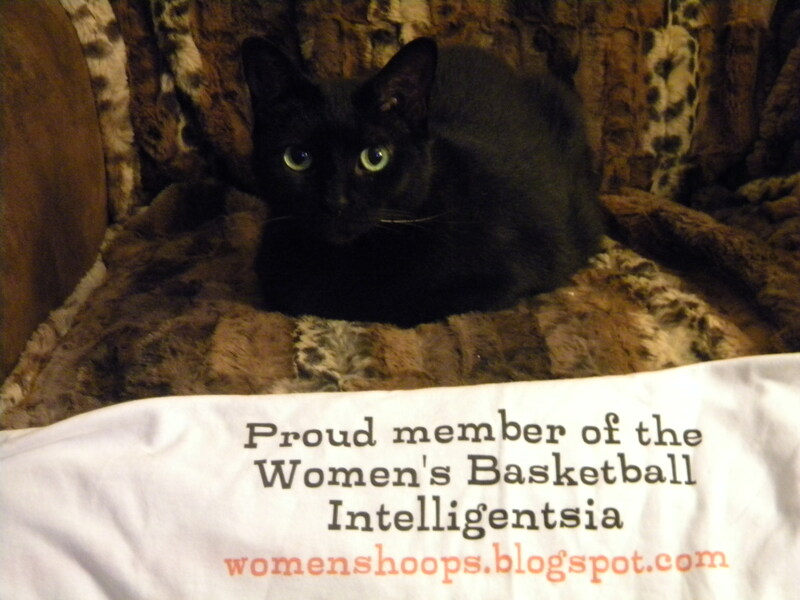 A limited – VERY limited – supply of “Proud member of the Women’s Basketball Intelligentsia” t-shirts are now in my closet. Drop me a line at womenshoopsblog @ gmail.com if you want to snag one. $20, which includes shipping. If you want to know the “back story” to the t-shirt, check out this post on the Mike DiMauro article that inspired the shirt.